The cold has given way to relentless driving rain. I spent the first couple of hours walking the dogs from Ynyslas to Borth and back – if you don’t know this stretch of Welsh coastline I suggest you book a holiday here pronto, it’s heaven. Saw a small flock of shags, heard curlews on the salt marsh and laughed as the collie chased some oystercatchers. Bracing. There is no way I am spending much time in the garden today, so on the way back from my walk I grabbed a handful of bay leaves from the three year old saplings in the front garden. I dragged them out of the bargain basement bin at B&Q a couple of years ago, and they are serving me proud. Bay leaves are my go to when I make polenta. However, whisking the cornmeal into a simmering bay infused milk and water combo is an activity akin to dodging paintball. When those bubbles burst onto your skin, they hurt! Put the grated cacao or chocolate in a heat-proof bowl. Put the milk and bay leaves in a saucepan, with the bowl on top. Bring the pan to a simmer, turn off the heat steep for about five minutes. Remove the bay leaves form the milk, then stir the milk into the bowl containing the now melted chocolate/ cream combo. Whisk lightly to combine, add a tiny pinch of salt and serve. 5th January – absolutely brass monkeys out there this morning! I managed to get eight large dandelion roots up, before the collie began to drive me insane with her ‘help’. She reckons she can garden better than me, and likes to show me so – very, very insistently. Her digging and prancing drives me mad, so for everyone’s sake, I stopped after twenty minutes. Dandelion roots go deep, and are great bio-accumulators in an organic setting. They have digestive and bitter properties, good for indigestion, spleen disorders, relieving heartburn and constipation, and stimulating the appetite. They contain inulin, a fermentable fibre, which is a prebiotic and good for gut health. It’s probably good for making kim chi – I’ll share this with you soon. This is not a coffee substitute recipe. I love coffee. Nothing else will cut it for me. Let’s leave the dandelion coffee to those poor souls that can’t tolerate coffee. Put in a heavy pan (I love my cast iron ware, it retains heat to make caramelising so much easier), and add a small knob of butter and a sprinkle of sugar and heat gently to caramelise. Serve with scrambled eggs and toasted sour dough with lots of salt and pepper. It’s wet and cold out there today. The sort of day that makes you want to crawl back into bed. Not the sort of day that has you wandering around your little front garden, actively looking for something to eat because you said that you would blog about it. Despite the foul weather, there is more hairy bittercress than I can shake a stick at. This tiny little weed chucks its seed far and wide, and I shall leave some for the bees. It flowers early, and the bees need early flowers to get them going. Fortunately I grow enough other varieties that will help them through their own hungry gap, so I’m getting to grips with the bittercress. It is from the mustard family, so I wondered whether it would work in a potato salad. I’m glad to say it does. 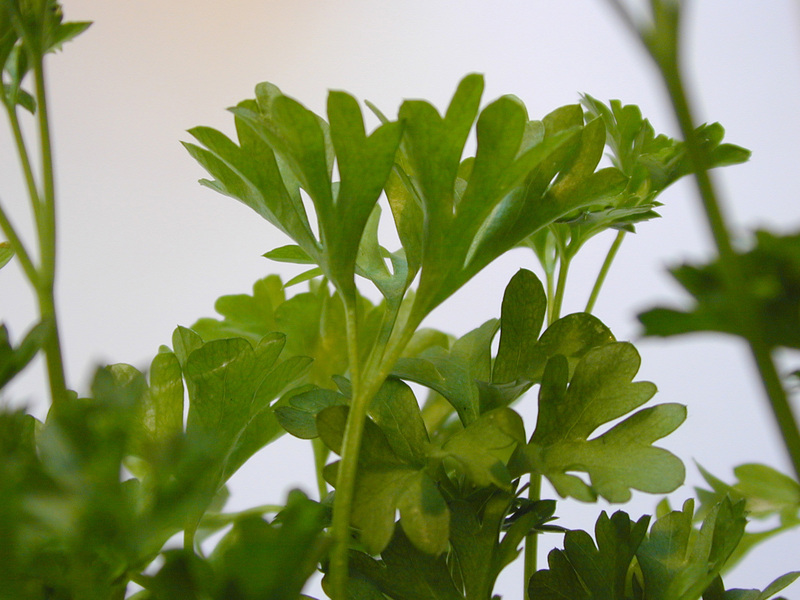 Stir in the finely chopped parsley and bittercress to serve. So, I got up at 6.30am. So did the kids. Astonishing, as our sleep patterns have been very out of kilter for the last two weeks. What will I do with these blissful few days before I go back to work too? It’s too frozen to garden, so I’m going to sort out my seeds. The lovely Kate and Ben at Real Seeds sell the best seeds for growing here in Wales. Seeds that have a short growing season, are open pollinated, and that have been tried and tested by themselves in Pembrokeshire. I got my order in early, as they are so popular and often run out of choice varieties. sunflower came out of a pack that were given to me. All the other seeds that germinated grew into large, single flower ‘Mammoth’ style plants. One particular plant grew to about nine feet, but with multiple heads. All the flowers, when they went over, had the added bonus of having seeds with thin shells compared to the meaty seed. I have saved and sown this seed for the last three years, and I have just found six dried heads! As each head has over a hundred seeds, and I only want to grow a few, I think it’s time to make my own sunflower seed snacks. Take the head and dry in a paper bag. Forget about it for about 4 months! Soak the seeds in salted water for 6 hours. This activates the germination process and makes them more nutritious. Roast in a warm oven, about 150C/ gas mark 2 for about half an hour, until they begin to brown and crisp up. The seeds are a good source of calcium, phosphorus and potassium. But, there is no simple way that I know of to get rid of the shell. Just teeth, and time. … my garden gave to me: a partridge in a pear tree. That is such a lie! First, I don’t have a pear tree in my garden (yet). Secondly, we don’t get partridges in this neck of Wales (although I have been lucky enough to watch black grouse with their silly white bottoms). But, after getting back from a lovely New Year’s Eve gathering and a breezy beach walk, I really needed something refreshing and warm to get me through the rest of the day. It’s cold and sparse in the garden at the moment, but I can always rely on the mint in the containers near the house for a quick fresh pick me up.